Sourced from cult-status Stagecoach Vineyard, situated high above the Napa Valley floor, between Atlas Peak to the south and Pritchard Hill to the north. Sourced from 100+ year old vines grown in iron-rich, red volcanic soils of Grist Vineyard, located west of Healdsburg in Dry Creek Valley. Whispered through the vines, and carried on the wind, the names of our premier Napa and Sonoma vineyards have reached mythical status among wine collectors. Stagecoach vineyard climbs between 900 and 1700 feet up the southern face of Pritchard Hill to Atlas Peak. 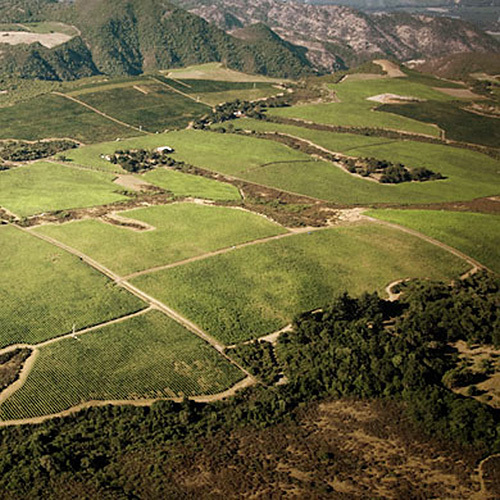 Our Cabernet is from a small, steep block near the top of the site at 1637 feet high. This section is lower-yielding than most of the vineyard and the mountain terrain is above the fog, with the rockiest soils and minerality to create distinct aromas and flavors. The grapes have to struggle to grow but once they've made it to the bud stage, the wine produced from those struggling grapes is a superb product that is a combination of terroir, fruit, and minerality creating a wine with softer tannins, wonderful floral undertones and ripe blue fruits. 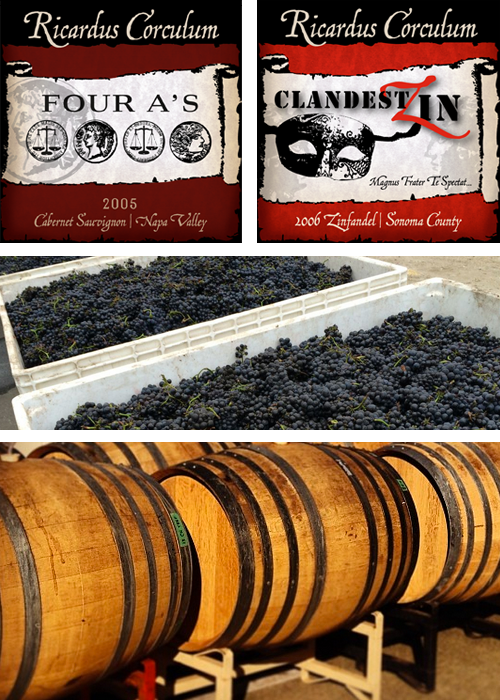 Located just west of Healdsburg in northern Sonoma County, Grist sits above the fogline on top of Bradford Mountain, the tallest of the hills making up the coastal range bordering Dry Creek Valley. 15 miles east of the Pacific Ocean and in between is nothing but forested hills where countless mountain lions, wild pigs and deer roam. 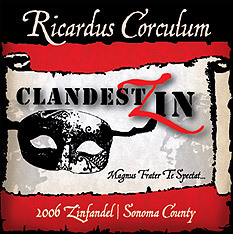 Named for the old grist mill on the property, it was planted to Zinfandel about 100 years ago. The vineyard has been farmed organically since 2003 and is a Certified Organic vineyard by the CCOF. The head pruned vines sit in iron-rich, red volcanic soils that stress the vines into low yields and concentrated wines. Sourced from 100 year old vines, our Zinfandel harks back to the restrained style of 'old California' zins - ripe fruit, oak, balance, slight spice, and a solid backbone. 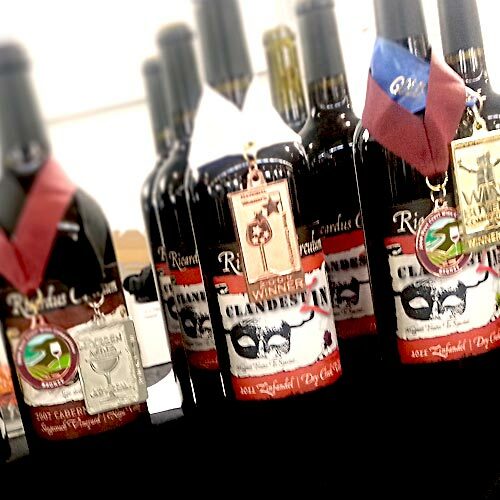 Although we are a small producer, our wines are decorated gladiators at arenas such as SF Int'l Wine Competition, West Coast Wine Comp, and ProBuyers Wine Comp. Our most important critics, though, are good friends around the table. For the many of you who know me, you know that my wine is a labor of love, but the old saying of “do what you love and the money will follow” isn’t accurate when it comes to wine! – I love winemaking, but… you can make the best wine in the world and still not have folks beat a path to your door. So, despite the fact that it is a money pit, I continue to make wine and love doing it. 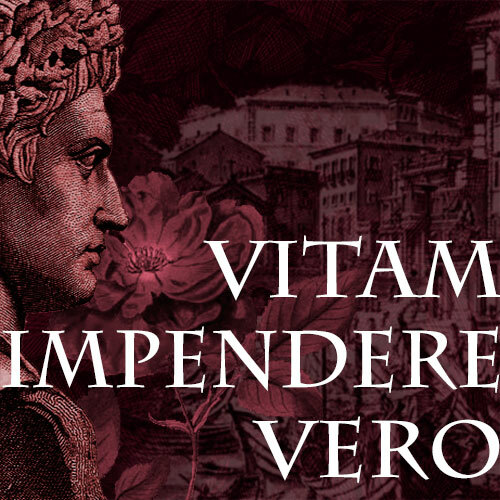 The "Four A's" taken for the name of our Cabernet Sauvignon is an obscure reference to Roman coins. 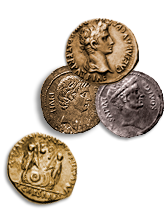 An “As” was a copper coin minted by Caesar Augustus (Octavian). These Roman coins were called "A's" or "asses" (no relation to the current day term!) and if a Roman spent four on wine, it was really good wine. 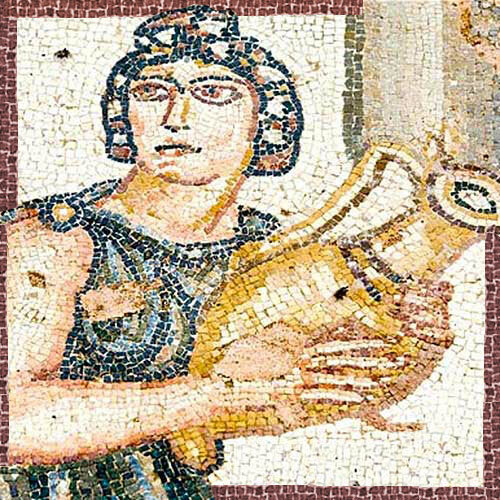 Roman soldiers traditionally ordered "one a's" wine and if a soldier ordered "two a's" wine, he was splurging. In general terms, a Roman soldier first century AD would have to pay about a weeks pay for a cup of wine. It is alleged that a menu on the wall of a pub in Pompeii (from 79AD when Vesuvius erupted and buried the city) reads, “get a drink here for an “As,” a better drink for two As', and Falernian for four A's.” Falernian is considered the best wine ever made and the Falernian from 121BC is alleged to be the best wine ever produced.